President Obama bragged Thursday it was “no accident” that the housing market rebounded under his administration, saying his economic policies helped usher in a construction boom and the lowest foreclosure rate since 2006. So it sounds like things are going exceptionally well for U.S. homeowners, doesn’t it? 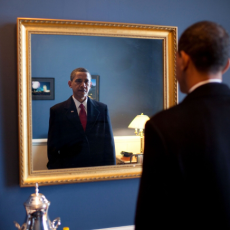 Less than a month later, on Monday, February 2, 2015, President Obama released his budget request for the federal government’s fiscal year 2016, which reveals that his boast from less than a month earlier is actually far from the truth. We know this because of an interesting line item called “Mortgage Credit” in Table 3.2 of the historical tables for the budget. This shows historic spending and the president’s proposed spending from 2016 through 2020, which indicates that a new bailout for distressed homeowners and mortgage lenders is in the works. Here’s how we know. We compared the net amount of money that President Obama expects the U.S. government to collect in the future through the Mortgage Credit in his 2016 budget proposal, with the amount of money that he expected to collect in the overlapping future years covered by his previous year’s budget proposal. For the four years 2016 through 2019, we find that instead of collecting $162.1 billion, the U.S. government will collect only $125.9 billion. That’s a $36.1 billion reversal in fortune for the U.S. housing market during those four years. To understand why that matters, consider that in good economic years, the Mortgage Credit represents the money that the federal government collects from insuring and guaranteeing mortgages through government agencies or government-sponsored enterprises such as the FHA, Fannie Mae or Freddie Mac. 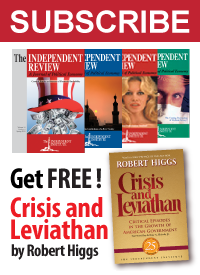 But in bad years, such as was the case in the years following the bursting of the housing bubble, the flow of money reverses and is instead used to bail out the bad or underwater loans mortgage lenders made that were guaranteed by the U.S. government. We wondered if the shortfall in expected revenues could be tied to President Obama’s announcement that the federal government would cut the fees it charges on the mortgages it insures in half, which would reduce its Mortgage Credit revenues by an average of $900 per year for as many as 800,000 homeowners. But that math falls far short in explaining the revenue shortfall, as the total reduction in the federal government’s revenues would fall by $0.720 billion per year. Extended over a four year long period, that works out to be $2.88 billion shortfall, which would only explain just under 8 percent of the negative discrepancy that exists between President Obama’s fiscal year 2015 and 2016 budget proposals for the years spanning 2016 through 2019. This means that something else explains the other 92 percent or $33.2 billion revenue shortfall. The most likely explanation is that President Obama has become considerably less optimistic about the growth prospects for the U.S. housing market than he was a year ago, such that he now anticipates at least a worsening rate of recovery. In recent years, home values in regions across the country have fallen substantially, leaving millions of homeowners now owing more on their mortgage loans than the value of the homes securing those loans. Many homeowners are also experiencing difficulty making timely payments on their mortgage loans. In these circumstances, there is a substantial volume of foreclosures. In addition, it is often in the best interests of both the homeowner and the holder of the mortgage to avoid foreclosure in one of several ways. For example, the homeowner may sell the home for less than the amount owed on the mortgage loan, and (despite the shortfall) the holder of the loan accepts the sales proceeds in full satisfaction of the loan. Alternatively, the homeowner may transfer title to the house to the lender in return for cancellation of the mortgage. Or, the homeowner and the holder may agree for the loan to be modified so that the homeowner can again become timely in making payments. Although there has been improvement in the residential real estate market, there is still an elevated number of cases in which homeowners may have discharge of indebtedness income with respect to their home mortgage loans. Beyond the many modifications being made without Government assistance, large numbers of mortgage modifications are being made under the Treasury program Making Home Affordable, including the Home Affordable Modification Program® (HAMP®). Facilitating home mortgage modifications remains important for the continued recovery of the residential real estate market. The importance is demonstrated by the fact that HAMP® has been extended at least through the end of 2016. Also, many lenders have reached settlements with Federal and State authorities, which include terms committing lenders to engage in certain borrower-favorable conduct, and writing down mortgage loan principal in many instances counts toward meeting this requirement. It is important to recognize that these changes would not be necessary if the U.S. housing market, and house values, were expected to continue their recovery. 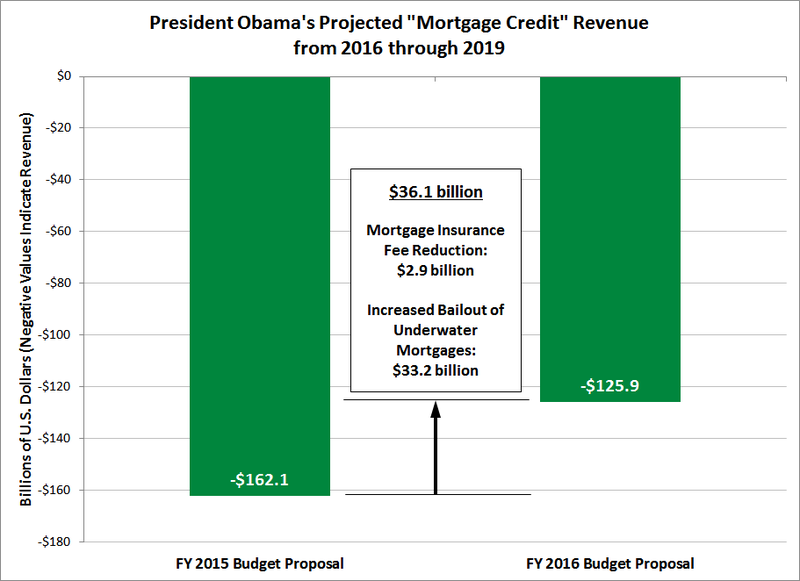 Instead, we find that President Obama’s estimate of the amount of additional money that will be needed to bailout homeowners and mortgage lenders from 2016 through 2019 will total $33.2 billion. This means that President Obama’s budget proposal for 2016 is really telling us that he believes the brightest days for the recovery in the U.S. housing market are now in the rear view mirror.